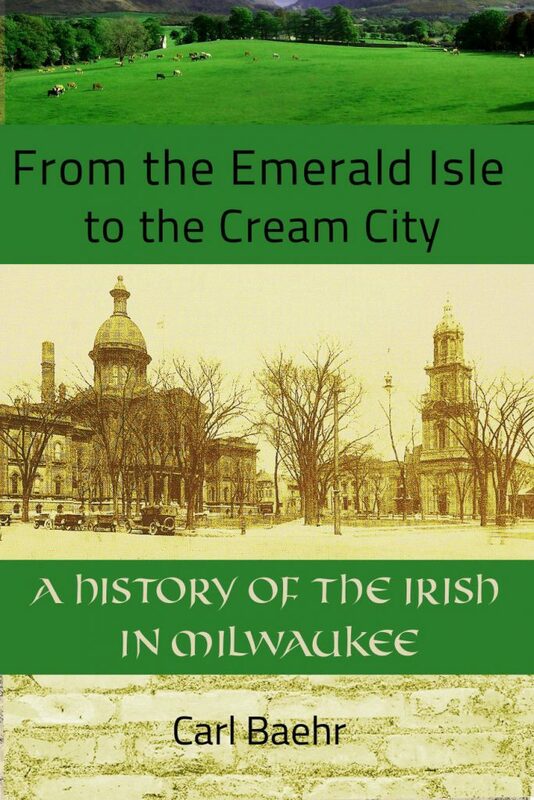 I had a chance to review “From the Emerald Isle to the Cream City: A History of the Irish in Milwaukee” by Carl Baehr. From the “Note of Street Names” that begins the book, you know that you can expect a well-researched work. The author has produced a well-written narrative, sharing citations for the material he used. The book takes the reader on a trip from the beginning of Milwaukee to the present day, focusing on the Irish in the city’s Third Ward. You learn how Milwaukee recruited immigrants and how they traveled, settled and lived. There are the stories of neighborhoods, schools, work and politics. Mr. Baehr is a great storyteller. As you read through the chapters of the book, the history unfolds decade by decade. It is as if he is sitting with you, setting the stage for the events that will unfold, then immersing you in the stories of the people involved. He finishes their tales, telling what became of them after their notoriety. The Irish-born population faced significant challenges in the city. Even their eligibility for citizenship was questioned by those who forgot that immigrants may have spent time living closer to ports before their arrival in Milwaukee. The book describes the events that shaped the Irish community, such as the impact of the loss of life to the Third Ward in the tragic sinking of the Lady Elgin and the Leahey Riot. The experiences of Milwaukee’s Irish soldiers in the Civil War is detailed. The Appendices contain useful reference material for students of the Irish in Milwaukee. The author shares his research into the miscalculation of Irish born Milwaukeeans in the 1850 and 1860 U.S. Federal Censuses; a list of the victims and survivors of the Lady Elgin; and the victims of the Newhall House Hotel Fire. Mr. Baehr tells compelling stories about the Irish in Milwaukee and of the city itself. Students of Milwaukee’s history and those interested in the history of the Irish in America will also enjoy this book.